When my friend, Anna, cooks, she almost only uses Martha Stewart recipes exclusively. At first I thought this was a joke, and then I thought it was cute, and then I realized it's brilliant. 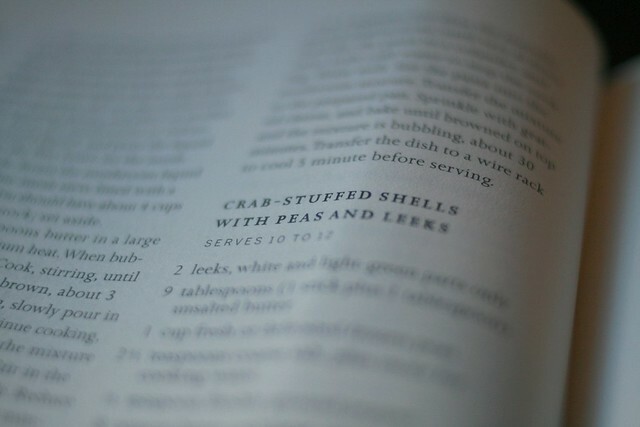 Before this weekend I'd never made a recipe from my seasonal Martha cookbook. I'm not exactly sure why I decided to bring it with me for our staycation, but it was the perfect book to bring along. This recipe was conveniently located in the "February" section of her book, and when David's mom gave me pasta shells for Valentine's Day, I knew destiny (or Martha?) was calling me to use them. 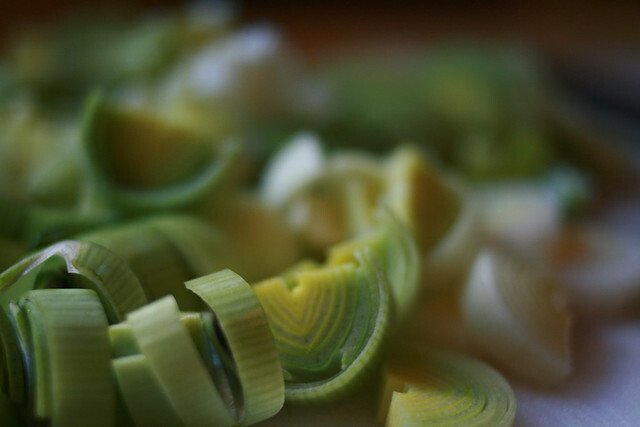 Cook the leeks in 3 tablespoons of butter, about 5 minutes Add the peas and season with salt and pepper. 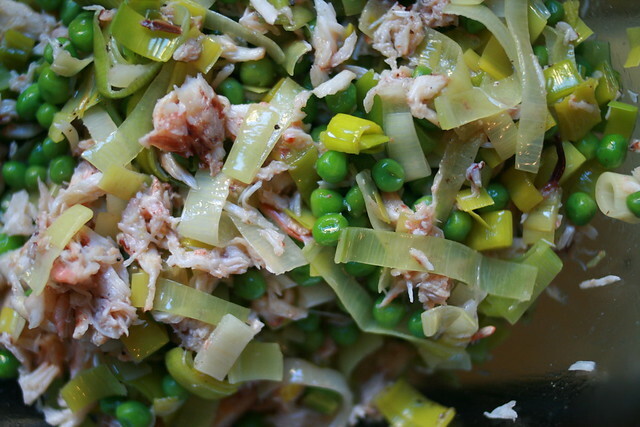 Cook until the peas are also cooked (2-3 minutes). 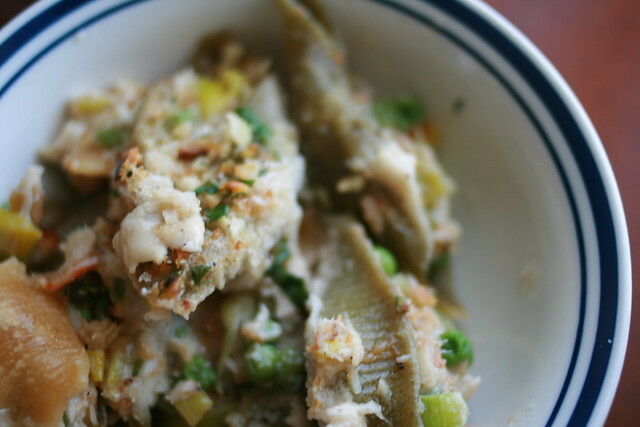 Once cooked, transfer the vegetables to a large mixing bowl and mix together with the crab meat. In the same skillet, melt the remaining 6 tablespoons of butter. Once browned, slowly add the flour while whisking the butter and flour together. Once incorporated, slowly pour in the milk-- a little at a time and while whisking to create a thick béchamel sauce. Once the mixture thickens and begins bubbling, remove from heat and add the heavy cream and lemon juice. Season with salt and pepper. 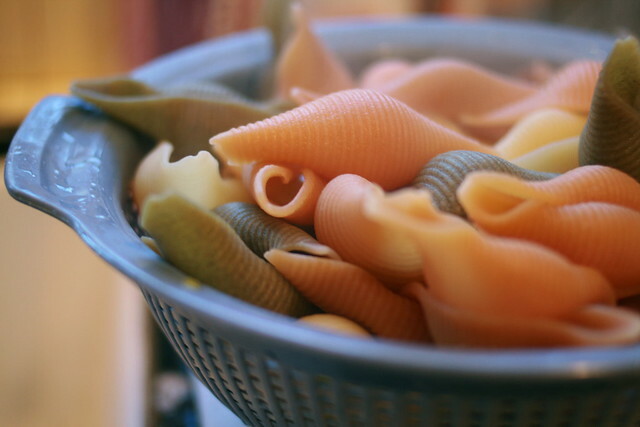 In a large pot, cook the pasta shells for 5-7 minutes, just before they become al dente. 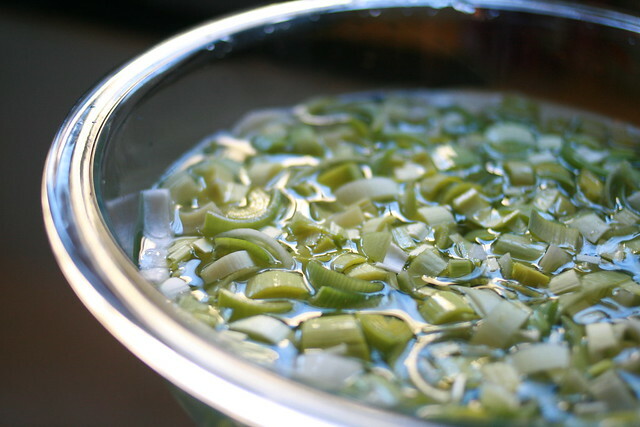 Once you drain them, stir in a drizzle of olive oil so they don't stick together while you assemble. In a buttered 9x13" baking dish, spread a cup of the béchamel sauce on the bottom. 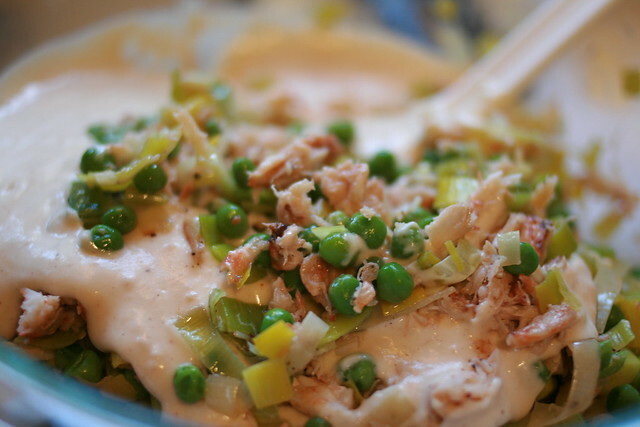 Mix another 1 1/4 cups of the béchamel in the crab and vegetable mixture. 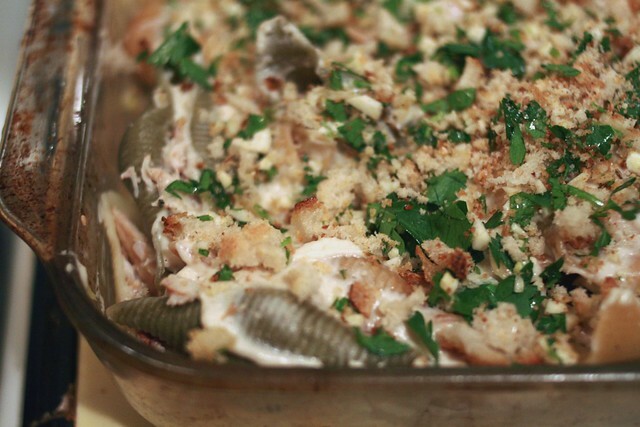 Begin stuffing the shells with spoonfuls of the crab mixture. 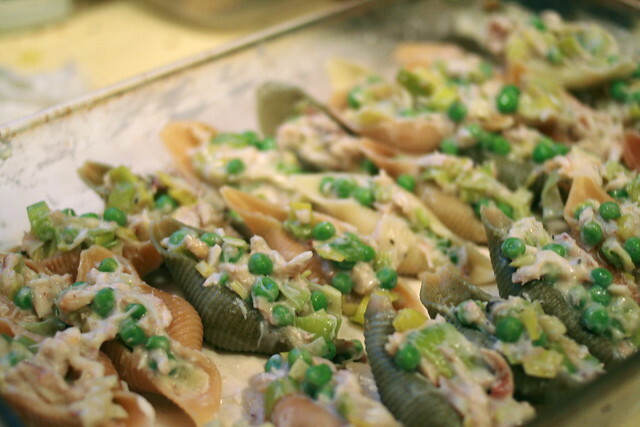 Once the shells are filled and placed in the baking dish, spread the remaining béchamel on top of the shells. Mix the breadcrumbs, garlic, parsley and olive oil in a bowl then sprinkle the mixture on top of the pasta. Bake 375°F for 25-30 minutes, or until the breadcrumbs are golden brown and the pasta is bubbling.